The bathroom is possibly the most dangerous room in the house when it comes to electrical safety. The consequences of an electric shock are far more severe in a bathroom or shower room as wet skin reduces the body’s resistance. 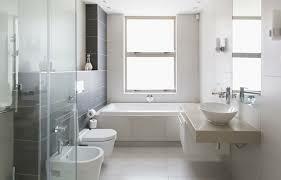 There are special requirements for electrical installations in bathrooms as most electrical work must comply with the Part P Building Regulations. Here's some advice to help you stay safe. Sockets are not allowed in bathrooms or shower rooms (apart from shaver-supply units) unless they can be fitted at least three metres from the bath or shower. Enclosed ceiling lights are preferable to the ones that hang down. All light fittings, that are not enclosed, should be out of reach of someone using, or still wet from using, the bath or shower. Everyday light switches are a danger because of dampness and wet hands. A ceiling-mounted pull-cord switch is the safest option. An electric shower must be supplied on its own circuit directly from your fusebox. Never bring mains-powered portable appliances such as hairdryers, heaters or radios into a bathroom. You could be severely injured or killed. If you have any concern regarding the electrical safety within your bathroom, or any part of your home please contact us today for free advice and quotations.